This Link is to the 2019 Astros Team Store. Clothing Items listed are OPTIONAL items available for your discretionary purchasing. Derry Youth Lacrosse Association (DYLA) is the recognized New Hampshire Youth Lacrosse Association (NHYLA) Program for Boys Youth Lacrosse for the Town of Derry. Lighthouse Lacrosse was created to offer an alternative for girl's ages 8-18 to the current lacrosse club landscape. It is our belief that winning is a by-product and the focus should be in the growth and development of our young women within the game. The New Hampshire Youth Lacrosse Association (NHYLA) was formed in 1994 and has grown as the vehicle for New Hampshire towns and programs to learn about the game of lacrosse, receive help launching lacrosse programs, and act as the guardian of the youth lacrosse game in New Hampshire. 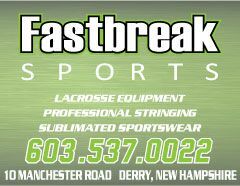 NH Tomahawks Girls Elite Lacrosse - In August 2013, the well known and respected NH Tomahawks Lacrosse Program announced the formation of a Girls Elite Program. Use the link here to learn more about Free Clinics, Tryouts, Indoor Lacrosse, Fall and Summer Sessions.